We've usually got a few reconditioned clarinets in stock (starting at about £160.00) suitable for beginners or intermediate players. They may not all be listed here, so please give us a ring or email us to find out what's available. This is a wooden clarinet in A rather than Bb. 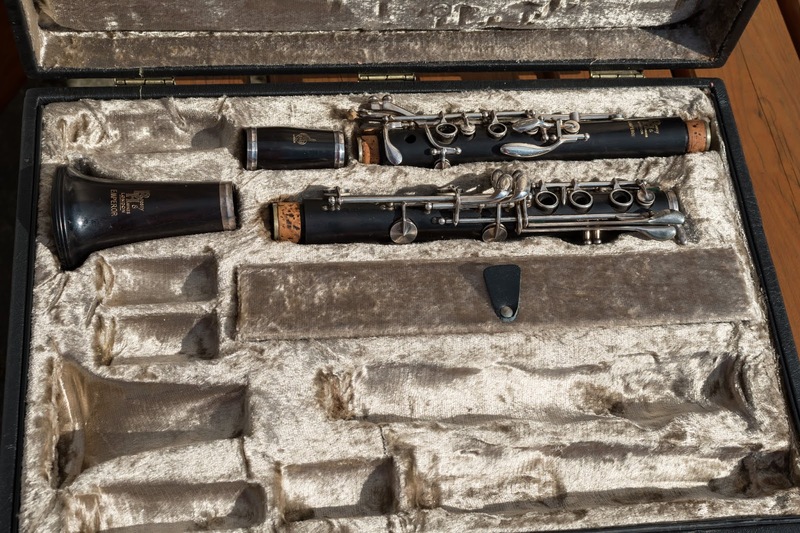 It comes in a large double case to fit both Bb and A clarinets. Wood is in good condition with no cracks. The Emperor is above the Edgware in the B&H range, so it's a serious instrument. It is in used condition with pads that have been in a while but As tend not to get a lot of use so it is in good playing order. The As tend to have a nice tone, and this one has that warm sound you'd expect. 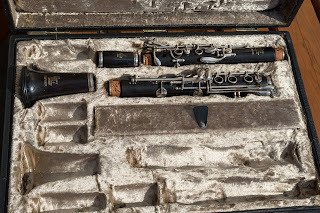 You don't see many A clarinets for sale so grab this while you can !!! 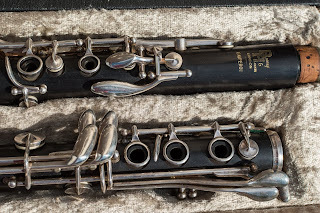 A clarinet from the 1970s that features a conical bore. It has nickel plated keys with some wear that has been polished smooth. It is repadded with tan leather pads. Comes with the original beige leather case which is worn but functional. Sometimes known as a 'pearl dot' due to the mother of pearl inlay. Nice tone. 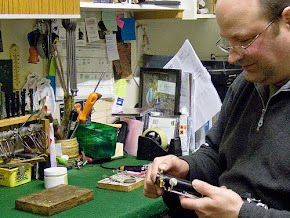 This is an intermediate clarinet made from wood. The B&H range consisted of the student Regent followed by the Edgware and then the Emperor, with the professional Imperial models 926 and 1010. The Edgware is very similar to the Emperor. 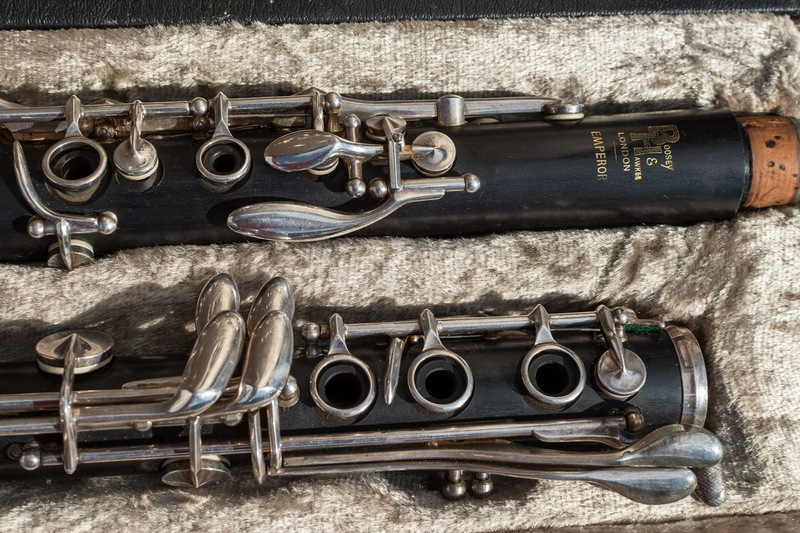 All the B&H clarinet have a wide bore of around 15mm which give them a nice deep tone. This one has now been fitted with new white leather pads. This is a beginner to intermediate level clarinet. It is made of wood but has an ebonite bell. It has been overhauled with new pads and corks fitted. Wood and keys have been polished and the nickel plating looks good. 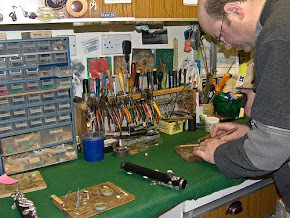 The pieces go in a small brown case which is unlike a normal clarinet case. This is a wooden intermediate level clarinet. But I love the sound of Signets and I think these are hard to beat for the price. It has been overhauled with new pads and corks fitted. It comes with a Selmer mouthpiece and has a case which looks like a 1970s design. Wood is in good condition. The nickel plate is in generally good condition but has a little wear in one or two places. A great sounding instrument. Used beginners instrument. Sturdy construction. A good reliable instrument. I've repadded this now as some of the pads were looking a bit tired. It plays very well now and is a great choice for someone starting out on clarinet. Comes with a good condition Selmer USA case. We've got another one in! (Slightly different to the one pictured. ) Very good beginners instrument. Better built than most. These are the ones we recommend. They have a wider bore which gives a great sound and they are better made than any of the Chinese instruments offered today as beginners instruments.